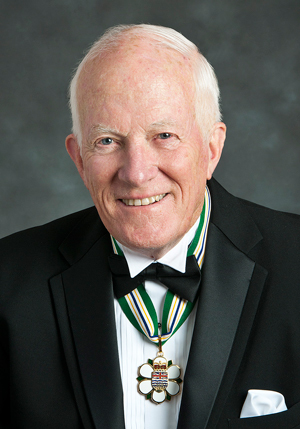 For 50 years, Christopher Rose has served British Columbians, young and old, with the greatest distinction as teacher, school principal and school trustee. His greatest focus has been to support those with special needs. As an advocate for children with special needs and after he retired from the School District, Mr. Rose accepted the position of executive director of Giant Steps West, a program for children with autism spectrum disorders. He held this position for three years. Giant Steps West later became known as the Chris Rose Therapy Centre for Autism. Mr. Rose founded the Chris Rose Foundation, which has continued to be instrumental in raising funds for the Centre. Since 1998, Mr. Rose has also organized biannual international conferences on autism spectrum disorders. Mr. Rose has also served 10 years as an elected member of the City of Kamloops Mayor’s Task Force for People with Disabilities and has travelled to Armenia several times to help develop programs and supports for special needs children in that country. Mr. Rose has earned many awards including the Rotary International Scholarship for Teachers of the Handicapped, and the Hazel Davy Award for Outstanding Service to Handicapped Children.